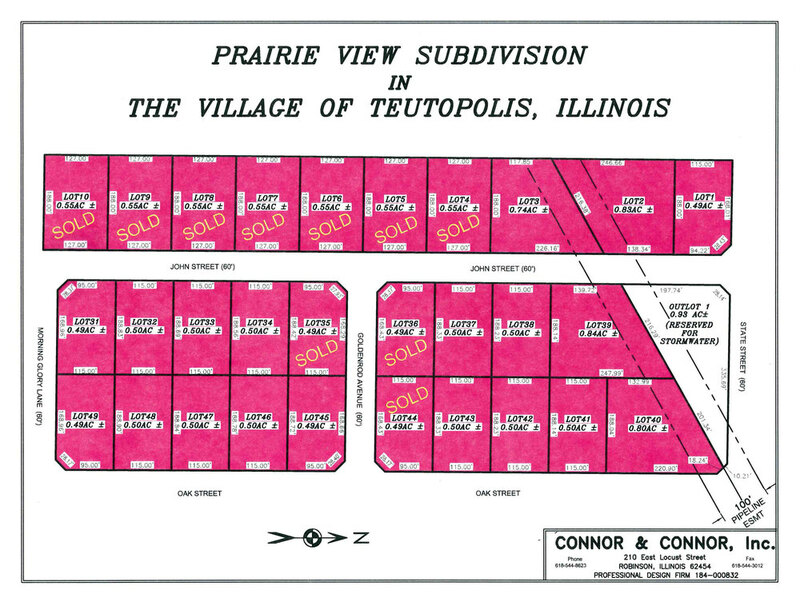 The Village of Teutopolis’ new subdivision project – Prairie View – located in the southeast part of town is progressing by leaps and bounds, both in infrastructure and lot sales! Already ten lots have been sold in Phase I with high interest in the remaining lots. Persons interested in purchasing a lot in Phase I of the subdivision, or just wanting information on the lots, can drop by the Village Hall at 106 West Main Street during normal business hours and pick up a folder containing all the pertinent information regarding size of lots, subdivision covenants, etc. Construction cannot begin on the lots until infrastructure is complete and the lots are actually marked. Please call the Village Hall at 217-857-3543 with any questions.